For The First Time Ever, It's 'Easier Than Easy' To Create a Delicious Meal in Literally Minutes! FINALLY You Can Cook A Professional Delicious Gourmet Meal Lightning Fast, Without Slaving Crazy Hours in Your Kitchen... in 30 Minutes or Less! Now you can discover The Right Way to Cook Up a Storm at Lightning Speed - the quickest and easiest way to create professional and great tasting meals in a flash. Inside this magnificent work you'll get over 101 meals youll absolutely love - everything any housewife, busy-entrepreneur, student, gourmet chef, etc. would need. 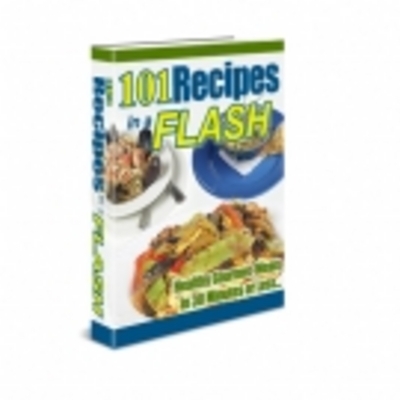 101 Recipes In A Flash + 3-bonuses! + Resale Rights!